“Just thought I would pass a bit of feedback from Saturday at the Vikings Junior Gala Day. 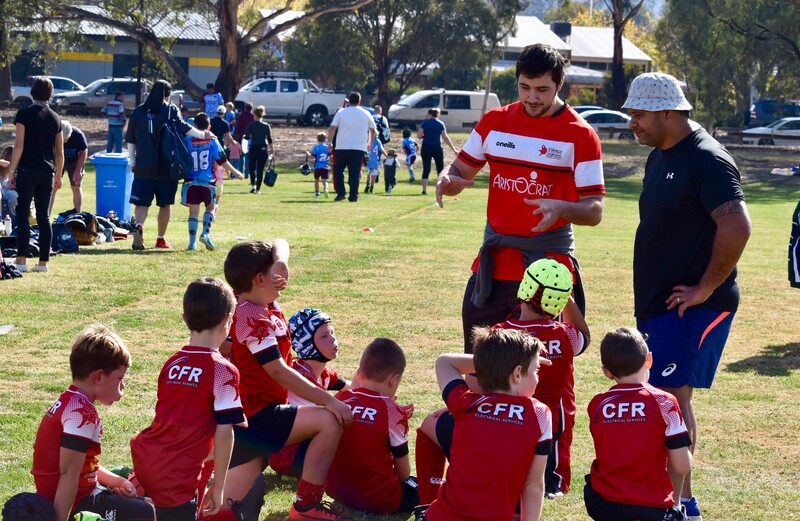 The Vikings Under 8’s were fortunate enough to have Ben come down and assist them with their games at the junior’s Gala Day. I mentioned to Brendan Allardyce (Senior Club President) on Saturday that I was told he did a great job with the Kids and this has since been reinforced. From all reports he was really engaging, offered plenty of helpful advice and has probably earned himself a little fan club going forward. Thanks to all the Senior players that took time out of their day to head down to Gowrie and support our Junior Vikings! Registrations for the Junior Vikings are still open – you can find more info on registering your child by clicking on the attachment below.